Plant operator Korea Hydro and Nuclear Power (KHNP) announced today that following eight months of commissioning tests, the unit had been declared as being in commercial operation. Construction began on Shin Wolsong 2 in 2008 and was completed in 2013, but South Korea's Nuclear Safety and Security Commission (NSSC) withheld permission for the reactor to start up following a discovery in May of that year that safety-related control cabling with falsified documentation had been installed at four reactors. 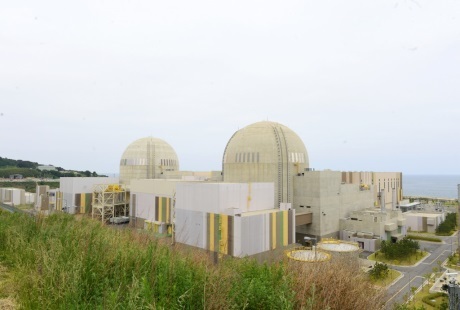 The NSSC approved the restart of the other affected reactors - Shin Kori units 1 and 2 and Shin Wolsong unit 1 - in January 2014 after the completion of recabling work. Fuel loading began at Shin Wolsong 2 - a 1050 MWe OPR-1000 reactor - last November after the NSSC finally issued an operating licence to KHNP for the reactor. It was subsequently connected to the grid on 26 February. In April, the unit completed a test run at 100% output, after which it was taken offline for maintenance. Shin Wolsong 2 was restarted in mid-June and final safety checks and commissioning tests have since been completed. South Korea now has 24 operating nuclear power reactors with a combined generating capacity of 21,716 MWe. Together they account for about 22.5% of the country's total power capacity. A further four units - all featuring APR1400 reactors - are currently under construction, which will add another 5600 MWe of generating capacity by 2018. More units are planned.